Waveney MP Peter Aldous last week met with Waveney Professionals Club at its bi-monthly meeting in Beccles. The importance about protecting professional and personal data against cyber theft was underlined during the Waveney Professionals Club breakfast meeting in Beccles on Wednesday 6th May. Lowestoft & Waveney MP Peter Aldous continued to show his commitment to helping local businesses progress at the well-attended event in the Waveney House Hotel. At the meeting, Waveney business leaders were warned about the threat data theft poses to their companies. Hackers can target commercially-sensitive information, leaving businesses vulnerable and also facing the threat of fines for not adequately protecting confidential information. In addition to protecting digital information by securing laptops and mobile phones against hackers, companies were advised that they also need to dispose of printed confidential waste securely. Guest speaker David Higgins from 4ITSec said many companies were unaware of the threat to their data, or did not take its potential loss seriously enough. “Companies give employees laptops and mobile phones but do not talk to them about security,” he told a business audience at the Waveney House Hotel. Using secure passwords, changing them regularly, and utilising encryption software are among methods available to help protect mobile data and improve cyber security, as well as two-part authentication codes to strengthen the single password requirement. Mr Higgins worked in the IT security industry for 30 years, including 13 years for the government, before starting his Norfolk-based digital security company. The warnings come as proposed EU data protection law for 2017 could see firms fined five per cent of their global annual turnover or one million euros (whichever is the greater) if their systems are hacked into and are not compliant or adequately protected. 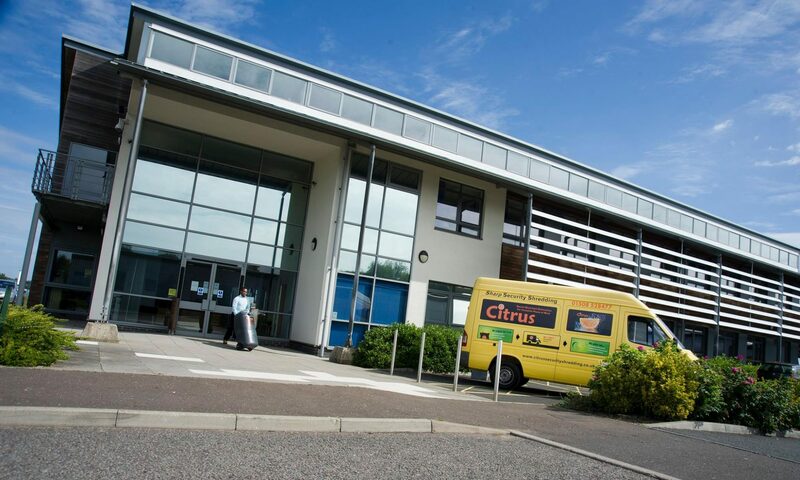 Citrus Security Shredding offers confidential recycling services across East Anglia with solicitors, accountants, insurance brokers and medical practices among its key customers.